♦ The way you stage your home for showings, will make or break a potential buyer's decision. Make sure you follow these house staging tips so you can help your home look its best. According to experts, staging houses can decrease days on the market by almost 50 percent. This can add a huge advantage when trying to sell your home. Keep reading for house staging tips that will help you get your house ready for the market and sold in no time. 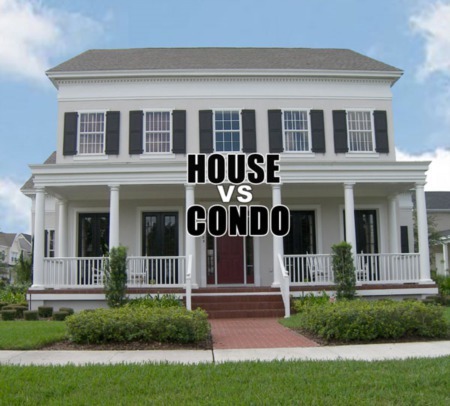 Why Should You Stage Your House? You love your home. You have a lot of memories, and you like the way the carpet feels under your toes. It's difficult to think about someone else not loving the same things we do about the space we call home. Yet, buyers don't have the same nostalgic feeling about the feel of your carpet as you do. Staging a home is important because it gives the buyer a chance to see the space in a more neutral, modeled way. It allows them to see themselves in their own home instead of yours. Buyers' agents also report a one to five percent increase in offer value for staged homes. 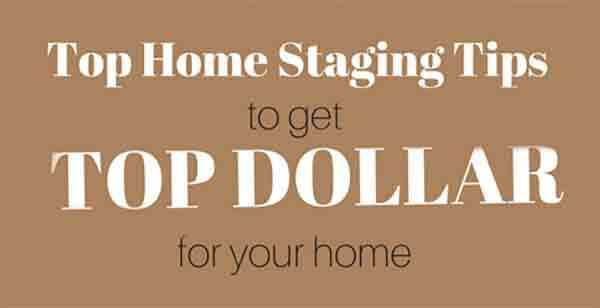 There are many advantages to staging for house showing that outweigh the cost. Now you know how beneficial it is to stage for selling your home. So, the next question is "How much is it?" Experts say between 1 and 1.5 percent of the listing price is an accurate amount for the price of staging. 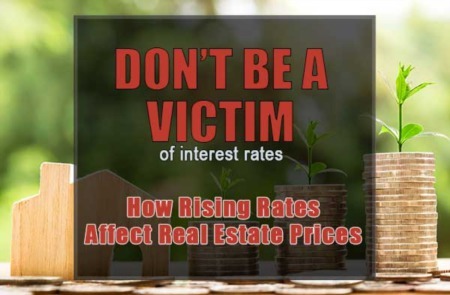 When you factor in the quicker sale or possible sales price increase, it doesn't seem very expensive. Staging a house might seem hard at first, but these house showing tips for sellers will get you started. Nothing ruins house showing photos or tours like too much clutter. Displaying some of your personal items is okay. But keep in mind that people want to envision themselves in a new home that doesn't have someone else's stuff in it. Too much furniture packed in can make a room look smaller and cluttered. Moving things to other places in the house or taking them to storage will help open up the space and give it some air. You don't have to live in an empty house. Only move out the non-essentials. Installing new lights or buying a few lamps to set up around the house is a good way to make your house look inviting. Lights provide warmth and brighten up the house, making people feel welcome. Our eyes are drawn to patterns, and stagers say our eyes also like to look at odd numbers. When staging accessories, try pairing things in threes when you can. Three is the magic number with candles, vases, and most other accessories. Staging by color or size is also pleasing to the eyes. The bedroom is a very important space to stage. Buyers are aware of the bedroom because that is where they spend most of their time. By creating a calm, relaxing feeling in the bedroom, you can help them feel more at home. Choose cool colors that induce a sense calmness. Buy bedding that looks inviting, and make sure the room and closet are both clutter free. When it comes to people, it might be the inside that counts. But, when you're trying to get a house ready to sell, the outside counts too. Make sure everything stays fresh by trimming and watering the grass often. Giving the sidewalks a good clean with a power washer will make a significant difference. Then, clean the windows and porch until they shine. All these things will make buyers more likely to want to step inside and see the rest of the house. It might seem trivial, but cleaning the floors will make a difference to home buyers. Most buyers feel that a home that is clean represents a house that is well maintained. Getting the carpets steamed or polishing the wood floors might seem tedious, but it will pay off in the long run. Setting the dining room table for a pretend family meal might seem odd, but it works. It doesn't leave the space or the table looking blank, and it gives the room a homey feeling. If you don't want to put out a dinner setting, try putting together a centerpiece that isn't too large. Just enough to draw the eyes into the center of the room. Hanging mirrors on the wall adds a depth to the room, as well; making it look more open and light. When someone goes to look at a new house, they're thinking about what they can do with it. Seeing awkward spaces not serving a purpose for the current owner shows a buyer they too will have trouble with figuring out how to use the awkward space. By putting in a workspace or installing bookshelves, you'll give the area purpose and give the buyers ideas of their own. Potential buyers won't only make decisions based on what they see. They're also going to make a decision based on what they smell when they walk into your house. Be sure to remove all pet odor and smoke odor. Also, try to make sure the house smells fresh every time an agent is showing it. No matter what time of the year you decide to show our home, there is going to be a theme in which you can do so. If you're selling in the winter, a fire in the fireplace is a great way to make the house feel cozy and seasonal. In the spring, try flowers and fresh scents floating in the air. If you're ready to sell your current house and find a home that's right for you, take look at these Orlando Housing Market Reports. Need more house staging tips? Contact us!